Lake Charles/Southwest Louisiana has a lot of opportunities to have fun and explore. Now, it is easier than ever to know what is happening in the area, find your way around, or even order food with the following local apps. Look no further than the events app to make plans for your weekend, featuring events throughout Southwest Louisiana, you can receive push notifications or easily glance at upcoming events by selecting the events icon. Perfect for visitors, groups and locals, this events app makes finding information convenient. 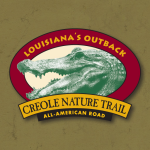 Louisiana&apos;s Creole Nature Trail All-American Road is a hands-on opportunity to experience one of America&apos;s untamed natural wonders near Lake Charles, LA. Feel inspired and amazed as the Creole Nature Trail All-American Road leads you into the unsurpassed splendor of Louisiana&apos;s renowned coastal wetlands, wildlife refuges, and rippling marshes. The Charpentier Historic District has been brought to life with the historic app can be downloaded in multiple languages including English, French, Spanish, German and closed-captioning. It will give visitors a guided experience through the 40-block area on the National Register of Historic Places with a choice of a 30 minute tour a 1 hour tour or a Calcasieu Ghost Tour. Order and pay for your food on your smartphone for carryout, delivery or for dine-in right from the table at your favorite restaurant. Several local favorite restaurants are included in the app with more to come. 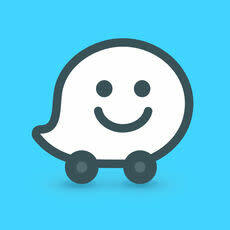 Great if you want to pick up your food or have it delivered to wherever you are staying! 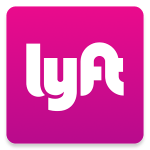 Wherever you’re headed in the Lake Charles Area, count on Lyft for rides in minutes. The Lyft app matches you with friendly local drivers at the tap of a button. Just request and go. After the ride, simply pay through your phone. As you&apos;re traveling through Southwest Louisiana, stay update to date on road conditions and detours by using these websites and mobile apps. 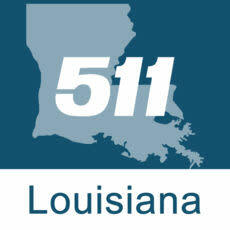 Louisiana 511 is the Louisiana Department of Transportation and Development’s (LaDOTD) official traffic and traveler information app. The Louisiana 511 app provides statewide up-to-date traffic information for interstates, U.S. routes and state highways in Louisiana. It does not include information for parish roads or city streets.